As per a new study, eating red chilli peppers with cholesterol lowering properties may help to boost cognitive function. 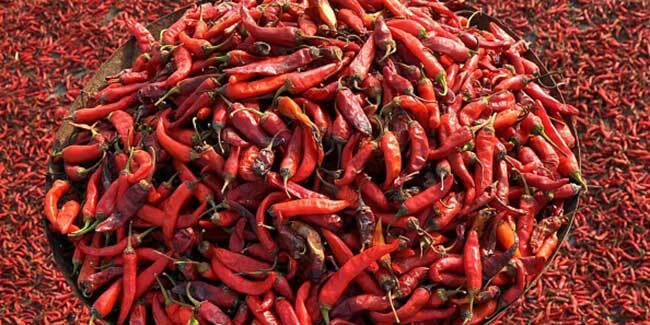 People who were regular consumers of hot red chilli peppers showed lower cholesterol. Although the researchers are not certain about the mechanism by which peppers could delay mortality, "transient receptor potential (TRP) channels, which are primary receptors for pungent agents such as capsaicin -- the principal component in chilli peppers -- may in part be responsible for the observed relationship," said Mustafa Chopan from University of Vermont in the US. Capsaicin is believed to play a role in cellular and molecular mechanisms that prevent obesity and modulate coronary blood flow and also possesses anti-microbial properties that "may indirectly affect the host by altering the gut microbiota," Chopan said. Peppers and spices have been for centuries thought to be beneficial in the treatment of diseases.For the study, the team examined more than 16,000 Americans who were followed for up to 23 years. 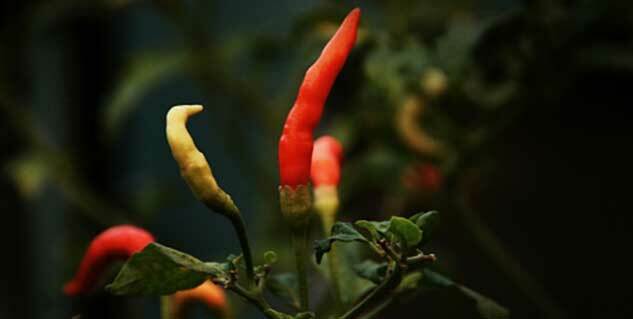 The results found that consumers of hot red chilli peppers tended to be "younger, male, white, Mexican-American, married, and to smoke cigarettes, drink alcohol and consume more vegetables and meats... had lower HDL-cholesterol, lower income, and less education," in comparison to participants who did not consume red chilli peppers.